Welcome to 2013! May God smile on you, your families, your businesses, and our country. If you can, please come with us to Austin this Tuesday to watch the noontime swearing in of our new Texas House representatives. It’ll be wonderful to celebrate the success of our election work, and to reaffirm our partnership with our conservative legislators when they vote our values. They need us, and we need them. Please, RSVP here, so we can plan for adequate transportation. Now, about that fiscal cliff deal. The "fiscal cliff" legislation passed this week included $76 billion in special-interest tax credits for the likes of General Electric, Hollywood and even Captain Morgan. But these subsidies weren't the fruit of eleventh-hour lobbying conducted on the cliff's edge -- they were crafted back in August in a Senate committee, and they sat dormant until the White House reportedly insisted on them this week. While some of you have expressed relief that income tax rates did not increase, overwhelmingly, those of you who emailed and called the PAC are incensed over the tax credits that were extended, the vast increase in spending, and the pittance of spending cuts in the fiscal cliff bill. Who Voted For the Fiscal Cliff Bill in Texas? Democrats - Cuellar, Y; Doggett, Y; Gonzalez, Y; Green, Al, Y; Green, Gene, Y; Hinojosa, Y; Jackson Lee, Y; Johnson, E. B., Y; Reyes, Y.
Republicans - Barton, N; Brady, Y; Burgess, N; Canseco, N; Carter, N; Conaway, N; Culberson, N; Farenthold, N; Flores, N; Gohmert, N; Granger, N; Hall, N; Hensarling, N; Johnson, Sam, N; Marchant, N; McCaul, N; Neugebauer, N; Olson, N; Paul, X; Poe, N; Sessions, Y; Smith, Y; Thornberry, Y. The Texas Patriots PAC strongly urges our area congressmen to hold townhalls with their constituents about this issue immediately. 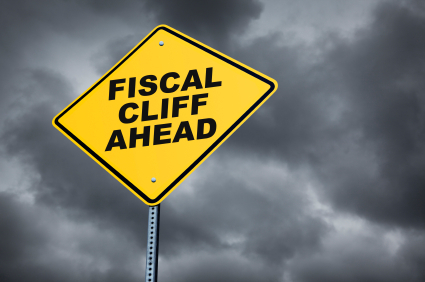 We have known for months that the fiscal cliff was approaching and no action was taken until the deadline was reached. Mr. Boehner and President Obama dealt directly with each other. The Senate put together a bill and 85 House Republicans ultimately voted for it. After hearing for years now that responsible voters want to see cuts in spending, the House did not hold the line on spending, to say the least. More importantly for future legislation, House leadership did not follow regular order, the process that maximizes the power of the House to affect legislation. The House can and should pass as conservative a bill as possible, setting a marker for negotiations with the Senate. The Senate, being majority Democratic, will represent Obama’s position. Differences between the House and the Senate should be resolved in a conference committee. The Speaker would be in a stronger negotiating position on policy working through regular order. Mr. Boehner has now announced his intention to recommit the House to working through regular order. We strongly support this change in process for the House and are watching to see if our Representatives will help him make this happen. Though reasonable minds will differ on strategy, here is an approach that uses the power of the House to maximum advantage. We will hit the debt ceiling again shortly. The House can, right now, pass a bill extending the debt ceiling to expire on April 15, 2013. April 15th is the annual date that both the House and Senate must submit their budget by law. The House can pass a responsible budget, as they have before. For the House to agree to extend the debt ceiling further, the House should insist that the Senate pass a budget that reaches the same total savings as the House bill, as scored by the CBO. The debt ceiling can be extended to allow agreement between the House and Senate through conference (i.e. no Obama). Newt Gingrich has similar insights on how the make the House more effective. Skip ahead to 3:25. We understand that there are three bodies of government involved in passing legislation, and that Republicans lead only one of them. We insist that Republicans start making the best use of the one they have. Please watch our website for announcement of any upcoming Congressional Townhalls.